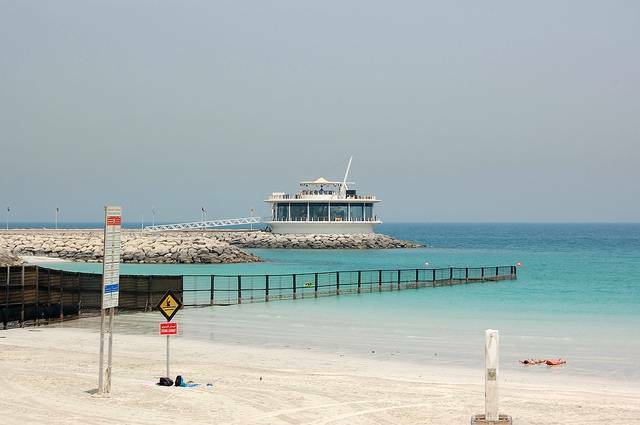 A landscaping beauty, the Jumeira Beach and Park are lovely family-friendly destinations in the city. A pretty park lines the picturesque beach, providing dozens of activities for old and young. The park has finely cut, cool grass with plenty of benches all around where people can have a picnic or stroll around. The promenade is exciting and always buzzing with activity. A large number of eateries, ranging from adorable cafes to international restaurants line the coast and serve delicious food. The beach itself is extremely appealing. From sun lounging chairs, water-sports to volleyball courts, the beach has it all! Visitors find the bathing and changing room services available here extremely useful. Among other services, the area also has a safe and fun children’s play area, kiosks, barbeque areas and picnic tables. The beach and park tend to get crowded with local residents on the weekend, so make the most of weekday evenings to visit these attractions. Sunset by the beach is absolutely stunning, and accompanied by a pleasant stroll, the few hours spent here will leave one refreshed and unruffled.